Let’s talk about after school dinners – does anyone love them? Anyone? Nope, didn’t think so. We get back from school at around 4pm and as soon as we land we have homework to do, followed by trying to sort out the usual grumps and grizzles, requests for snacks, drinks and whatever TV programme they haven’t been able to watch all day. Trying to cook and sort out a nutritious dinner, from scratch is a nightmare with all of that going on. Hence why so many mamas rave about slow cookers, but in the warmer months I’m not as partial to a stew as I would be in mid November. So what to feed the sprogs eh? Well, I’m not even slightly ashamed to admit that we have become BIG fans of Birds Eye frozen chicken. I know, you gasped… but it’s not what you think as we’ve found out there is SO much more you can do with Birds Eye chicken than just serve it with chips and beans. What I can feed them with a clear conscience and ensure they are getting exactly what they need (and like) is Birds Eye frozen chicken in it’s various forms. It’s *such* a misconception that Birds Eye chicken isn’t nutritious – it is, Birds Eye chicken, be it chargrills or dippers, is a fabulous source of protein, it’s made with 100% chicken breast and has absolutely no nasty bits. Honest. On top of that, the chickens are barn reared, never caged and there are no preservatives, flavourings or colours added to the final product. But what do you do with Birds Eye that isn’t chips? Well, I’ve teamed up with Birds Eye to give you 3 recipes using 3 different types of Birds Eye frozen chicken products and all 100% approved by nutritionists! 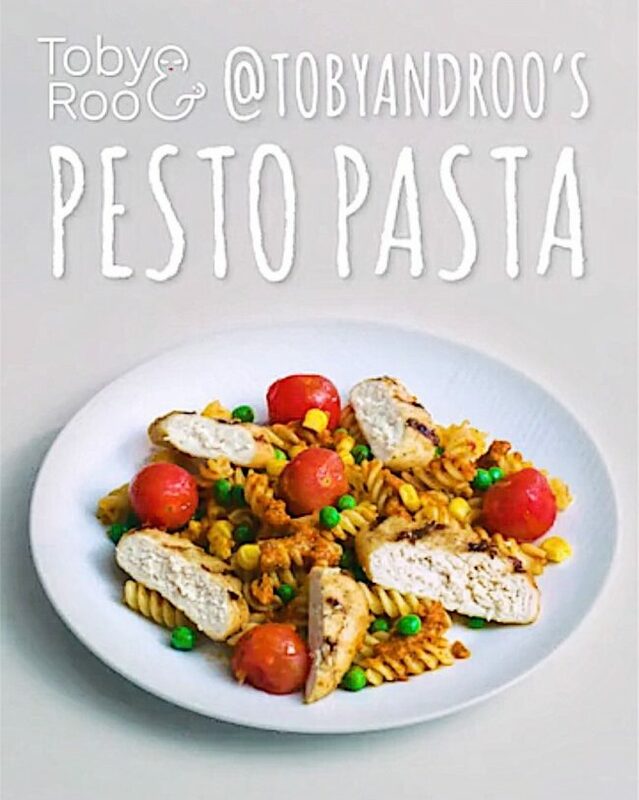 Super easy recipe to create, perfect for those after school club rush dinners. 1. Preheat the oven as per the instructions on the packet of Birds Eye chicken dippers. You’ll want 8 dippers (2 per taco!). Place the dippers on a tray and place them in the oven for the specified time. 2. Slice the sweet potatoes into wedges (I usually get 4-6 wedges from each sweet potato, for extra large or long potatoes I cut the wedges in half to make them shorter), coat in oil and place in the oven on a baking tray. These will need to bake for 20 minutes so put them in at the same time as the dippers but leave them until the taco is constructed and plated. 3. Take the jar of red pepper, empty away the oil and slice into very thin strips. I like pre-roasted red peppers because they have a wonder flavour and haven’t been fried, it’s a very quick way to use roasted pepper! 4. Chop the tomato and mix with the red pepper. 5. In a pan of boiling water, boil the sweet corn for 2-3mins and mix with the tomato and pepper mixture. 6. Chop the spring onions and lettuce and mix together. 7. Place a small amount of lettuce and spring onions in the bottom of the taco, cover with the tomato and red pepper. 8. Take the chicken dippers out of the oven and place on top of the tomato, sweet corn and red pepper mixture. 10. To finish off grate a small portion of cheese over the top and serve. 1. Pre heat the oven as per the instructions on the packet of Birds Eye Crispy chicken breasts and place in the oven to cook for the recommended time. 2. Prepare the veg – for little ones (like my 2 year old daughter Edith) I chop the veggies really small so that she can eat them easily. 3. Place the rice in a ricer and cook as per the instructions. Alternatively you can boil the rice in a saucepan as per the instructions. 4. While the rice and chicken are cooking, make the sauce. 5. Mix the tikka masala paste (if you prefer a milder flavor still you can go for Korma paste, or if you wanted to make this spicer, choose Madras or Vindaloo), soy sauce, stock, coconut milk and honey in saucepan and bring to the boil. Leave to simmer and reduce. 6. Preheat the sesame oil (you can use ordinary oil if you don’t want to use this) in a wok (or frying pan if you don’t have a wok), and then once hot add the veggies and garlic. Stir fry until softened and set aside. 7. Place a portion of rice in the bowl or plate and add a good portion of veg on top or to the side. Again for tiny ones it might be an idea to mix the rice and veg together. 8. 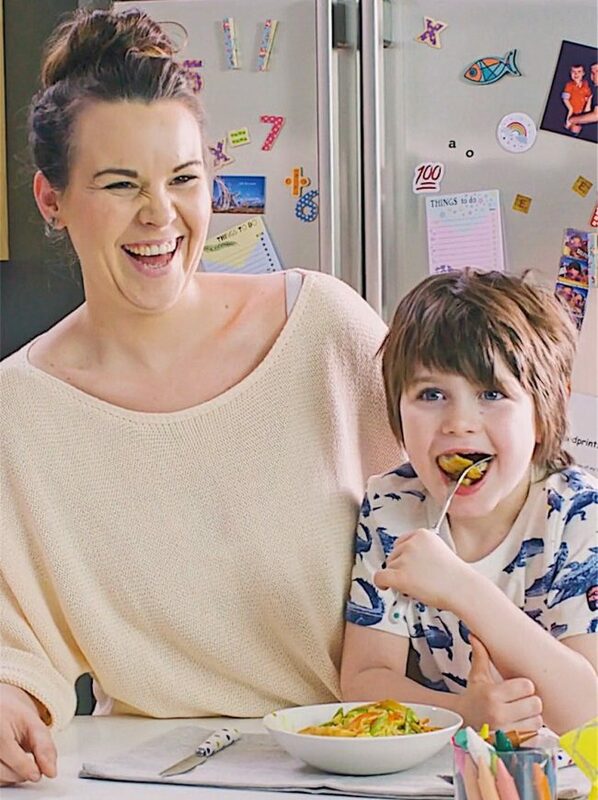 Drizzle sauce across to each child’s liking – Toby likes lots of sauce, Reuben just a touch. 9. Take the chicken out of the oven and slice. Lie over the rice, drizzle on a touch more sauce and sprinkle with coriander. 1. Pre heat the oven as per the instructions on the packet of Birds Eye Chargrilled chicken breasts and place on a baking tray with the tomatoes. Place the tray in the oven to cook for the recommended time. 2. Place the pasta in a pan of boiling water and cook as per the instructions – you can use any type of pasta for this dish. 3. Drain the pasta and stir in the pesto. 4. Boil the peas and sweetcorn, drain and add to the pasta. 5. Take the chargrill chicken and tomatoes out of the oven, you can either remove the skin from the tomatoes or leave it on. My children prefer it removed so I do. 6. Slice the chicken and layer on top of the pasta with the tomatoes. Serve. And that’s it! All nutritious, all turned around in 20 minutes and all scrummy! Which one are you going to try? The katsu curry is a great idea. I shall be trying that one. You are so right that in the warmer months nobody wants to heat up their crockpot. I love the taco boats and pesto pasta. I will be adding those to my menu! These are all good ideas, but nothing beats the classic chicken dippers and chips! 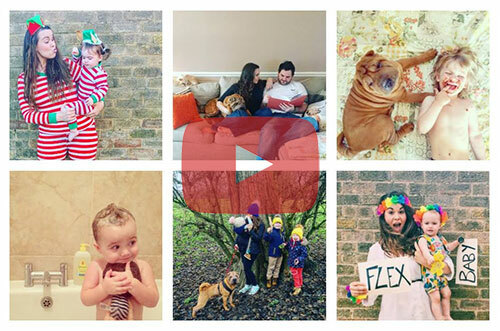 These are some lovely ideas! 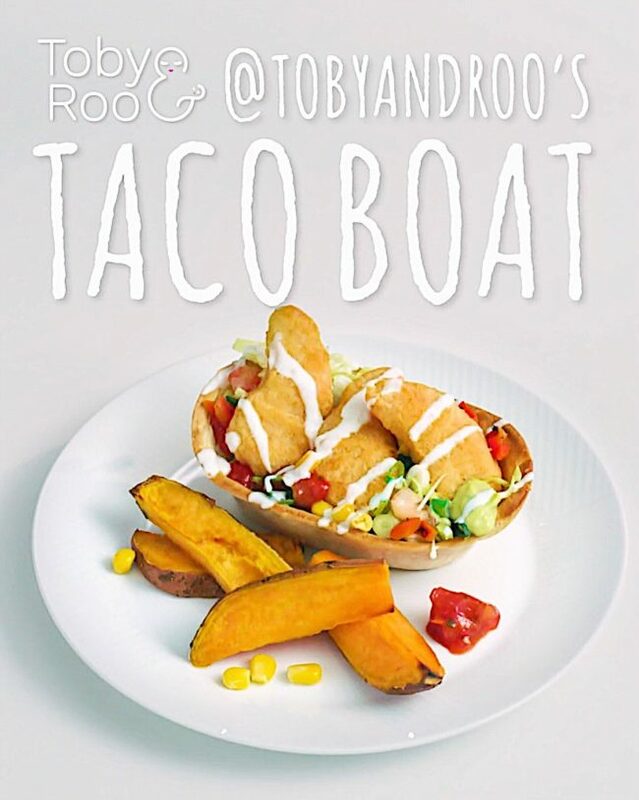 That taco boat looks fun and delicious! I’d definitely try the pasta too! Lots of great ideas here. I am definitely going to try the katsu curry one as I have always wanted to try it. What fabulous ideas to have with birds eye chicken!!! Its great to know that they are free range chickens and they don’t add bits like preservatives etc!! I will definitely be giving those taco boats a go with Jack! You have give me great ideas for dinners. I will be trying them. Screw the people who don’t like Birds Eye! (unless they don’t eat meat of course), I LOVE the chargrills myself! But the taco nugget idea sounds amazing! These all look yummy. I think I’ll try the katsu curry first! All the recipes look delicious but I like the look of the Katsu curry the best mmm! Loved all recipes. They are equally good for busy adults as well. Thanks for sharing. I just love Bird’s Eye chicken! They’re so quick and easy to make, and TASTY! 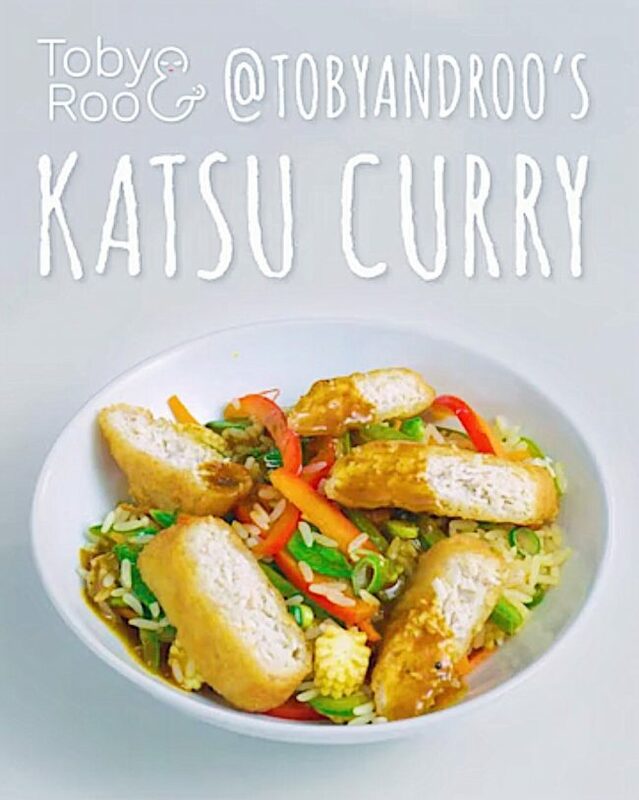 I love the idea of the Katsu Curry; should try it next week…. These are really easy and delicious recipes to create. Great ideas. Yum!! I’m a vegetarian so I would omit the chicken, but these sound like great meals. These recipes are very exciting and definitely not boring for a yummy dinner. I like Bird’s Eye, I never bough their chicken but I often find myself buying their rice in a bag, which is delicious. They looks like great after school meals for little ones. I’d struggle with mine as I have to keep veg and other parts separate for them to try it. There’s nothing better than quick nutritious meals that the kids will eat !